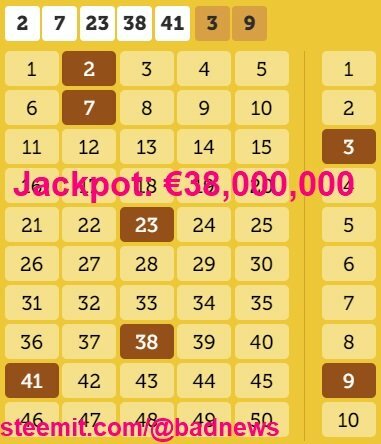 The @badnews giveaway for Friday 25.01.19 EuroJackpot lottery, just enter before the lottery draw takes place 25.01.19 Friday at 21:00 local time in Helsinki (20:00 GMT) to be in with a share of 50% of any winnings on this EuroJackpot ticket paid in $SBD. 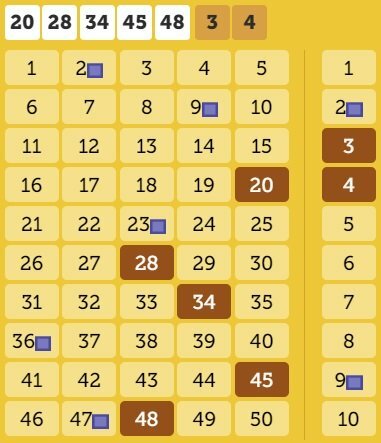 To enter either UPVOTE this post OR leave a comment with code 1311 ONLY in the Reply, comments that contain more than the code listed may not get properly entered. Comments that do not contain the code WILL NOT be entered into the draw. EuroJackpot is a transnational European lottery launched in March 2012. Anyone is able to support their favorite authors by giving them an automatic upvote after publishing any post. If you don't want to miss any post from your friends, or favorite authors, just give them an auto upvote! Steemauto will upvote on time, with your configurations, with specific upvote weight!